…qualifies for the Tory accolade bestowed on Michael Heseltine: he is a ‘big beast’ of the Irish political jungle. You know, if I were Hogan I might not be necessarily entranced by that comparison. For Heseltine’s career was very much one marked by unfulfilled ambition. But then as noted previously Hogan as Minister of the Environment, Community and Local Government is a man whose ambitions in his chosen area seem …erm… limited. Hogan is tough and has been facing down [FG] party councillors for years. He knows that his own political reputation could be made forever if he is the minister who really transforms local government in Ireland. I’ve often pointed to perceptions as a driver of interactions with the state. An obvious example that we’ve discussed previously is that of Third Level where perceptions and a culture of non-attendance at universities has had some impact on participation levels by those from working class backgrounds. I was talking to a friend of mine recently whose eldest had got just finished their exams and been offered places in both UCD and TCD. They were going for the former, even though it was much further away from where they lived, because they thought it ‘less snobbish’. Perhaps so, perhaps not. But an anecdotal example of the power of perception. The abolition of third-level fees has not achieved the stated aims of its sponsors and its defenders – the opening up of university education to children from poorer backgrounds. At the time I noted that this ignored the general impacts of free fees on the entirety of the third level sector including ITs and so on, and that there might well be cultural perceptions about universities which could counteract increased ease of access through abolition of fees. In his report to the board, CAO director Paul McCutcheon, who is also registrar at the University of Limerick, warns “the possible reintroduction of third-level fees may reduce applicant numbers”. He also says the increase in emigration may reduce applications to the CAO. In your report (“CAO fees in spotlight”, Home News, August 13th) the CAO’s director stated that the reintroduction of third-level fees threatened to reduce applicant numbers. This is unlikely for several reasons. The international evidence tends to suggest that university fees do not deter students and this is mostly based on the US experience where tuition fees are substantial. For Ireland, the evidence shows that the abolition of fees in the 1990s didn’t change the socio-economic background of university students. Low income students qualify for the higher education grant and this would presumably remove the disincentive effects of university fees for those most likely to be affected. Unfortunately once more Denny ignores third level beyond the university sector and now throws in US experience – which strikes me as being radically different both in terms of education and societal structures to this state. I’ve read a fair bit of Denny’s research subsequently and I think he’s genuinely informed by a sense of equity, but his concentration on the Universities and his lack of interest in the rest of the HE sector and in factors – such as perception – beyond fees/no fees seems to me to constrain his approach unnecessarily. Perceptions genuinely matter – key research on the take-up of universal social provisions as against targeted provisions demonstrates this time and again. They may well be right, but this is hardly good enough. The preservation of citizens’ basic welfare and dignity should be the cornerstone of any civilised State. It is imperative that our social security system actively works to protect those most in need. But too often those in need feel they are kept in the dark over their entitlement to forms of basic social assistance, or must navigate through a maze of bureaucracy in order to qualify for their entitlements. Unlike many other jurisdictions, we still do not have a system which automatically links citizens to all of the welfare support they are eligible for. There is, rightly, an aggressive focus on welfare fraud. But we should be equally vigilant about ensuring those in need of welfare assistance get the support they need. If the safety net of the welfare system begins to weaken, there is a danger that our sense of social solidarity will unravel as well. Social assistance is a right, not a privilege. And no citizen should feel any sense of shame about asking for what they are entitled to. But… there’s an issue here of that self-perception when some people interface social welfare structures. For further evidence of this consider an interesting piece by Conor Pope in the Irish Times recently on middle class perceptions and how they shape interactions with the state and social services of one kind or another was very telling. Too many people feel embarrassed about not being able to pay their debts – but the uncomfortable reality is there are tens of thousands of people in the same place. Many of the New Poor are resolutely middle-class and have this idea that contacting the Money Advice and Budgeting Service (Mabs) or the St Vincent de Paul Society for help is a degrading step and one which is beyond them. So they soldier on and lead lives that are increasingly miserable and stressful. Now, as evidenced by the recent research published in The Experience of Unemployment in Ireland: A Thematic Analysis [available online] it’s certainly true that some parts of the welfare state are far from welcoming, but MABS doesn’t strike me as one of those. This attitude needs to change. Both organisations have been stressing since the recession first took hold they are there to help anyone, no matter where they live or what their background, and there should be no stigma attached to making contact with them. This clearly isn’t an anecdotal experience. These attitudes do exist and arguably they exist even more broadly in the self-described middle class because there’s relatively little experience of interacting with such services. One cannot help but have a sympathy with anyone in this position, but one cannot also help having a certain degree of impatience. It reminds me of Iain Duncan Smith, the Conservative party leader who was made redundant in the 1980s and unemployed for five months. He didn’t use welfare. Why not? Not that long back I mentioned a similar perception on the part of some who don’t join unions, and to my mind it strikes me as all of a piece. Misplaced pride, a distortion of a self-reliance and so on. And a lack of a sense that these are as Pope puts it…entitlements. It will help people to draw up a list of priorities, maximise their earning potential and claim everything they are entitled to from the State. There’s a bit of a paradox here though, because there’s also a phenomenon where certain services or provisions are accepted without question by the ‘middle’ classes. Child benefit is one such, there are others, but I’d very hesitantly hazard that that is a function of position. It’s one thing to accept child benefit, or whatever, when times are good and one’s perception of relative class position is assured, quite another to have to go to a social service when times are bad and one’s perception of relative class position is thrown into question. That too though is bound up in a web of perceptions. Pope says interacting with the services still provided “[is] better than living a miserable hand-to-mouth existence”. It surely is. But given the way the net of social provision is being holed that’s not necessarily a choice between two distinctly different states of being. Posted by WorldbyStorm in History, Irish Politics, The Left. A good review of Matt Treacy’s The IRA, 1956 – 69: Rethinking the Republic in in the latest edition of History Ireland. Eoin Ó Broin, whose work on Left Republicanism is also very well worth a read – perhaps particularly in respect of the analysis it has of the 1960s as well, is the person charged with the task of reviewing the book. It is based on the latest available archival material from Irish and British sources, combined with an intimate knowledge of the dynamics of 1960s Republicanism. As a result, Treacy has produced a dispassionate narrative that may yet become the final word in a number of controversies. Crucially Treacy warns against the idea that this was a simple left-right division. The modernizers clearly embraced a particular variant of Marxism, albeit mediated via the intellectual lens of C. Desmond Greaves. The traditionalists also provided a coherent alternative to the status quo, based on Catholic social teaching, a commitment to social justice and the rights of workers, and a focus on protecting indigenous business. …such as the activity of the Cork-based An Phoblacht group centered around figures such as Jim Lane. This self-consciously left-republican collection of activists sat uneasily between both the traditionalists and the modernizers, embracing the new drive for agitational politics of the Goulding faction while remaining committed to the utility of armed struggle as argued by the traditionalists. … [the] main conclusion is that, despite the intensity and at times bitterness of the internal arguments and divisions of 1960s republicanism, the two key protagonists – traditionalists and modernizers – achieved little for their efforts. The inheritors of these two positions, namely Republican Sinn Féin and the Workers’ Party, today languish at the margins of Irish political life much as they did in the 1950s. Posted by irishelectionliterature in Music. Its 25 years since Billy Bragg released “Talking With The Taxman About Poetry”. I recall waiting for it to be released and buying it in the first few days. Having loved “Lifes a Riot” and “Brewing up…” it was eagerly awaited. The album was quite different but still brilliant. Some Classics such as “There Is Power in a Union”, “Help Save the Youth of America” “Levi Stubbs’ Tears” and “Ideology”. Anyway …. A recent radio documentary was dedicated to it. In 1986, Billy Bragg’s third album “Talking With The Taxman About Poetry” became his first top ten release. Featuring the hits Levi Stubbs’ Tears and Greetings To The New Brunette, the record also included acclaimed musicians such as Johnny Marr and the late Kirsty MacColl. To mark the album’s 25th anniversary Ian Camfield presents this special “25” feature, including an extensive interview with Billy himself, plus contributions from; Sam Duckworth (Get Cape. Wear Cape. Fly) producer Joe Boyd, music journalist Mark Sutherland, Prof. Tim Wall from Birmingham City University, Phil Maquire from the Prison Radio Asso. and REM’s Mike Mills. Posted by WorldbyStorm in Economy, European Politics, Irish Politics, The Left. Greece will lose sovereignty and jobs to meet [the bailout] criteria, a comment that has enraged unions. Any suggestion of foreign intervention in running the country is an incendiary political issue that will make implementing reforms even tougher. “The sovereignty of Greece will be massively limited,” Mr Juncker told Germany’s Focus magazine in an interview released yesterday. Teams of experts from around the euro zone would be heading to Athens, he said. ”One cannot be allowed to insult the Greeks. But one has to help them. They have said they are ready to accept expertise from the euro zone,” Mr Juncker said. We can consider the issue of sovereignty in this context with some interest. I was very struck by how the vote early in the Summer in the Greek Parliament appeared to teeter on a knife edge, albeit not quite so much of an knife edge when one NDP MP voted with PASOK to ensure the passage of the measures. And when two of the three PASOK dissenters eventually rowed in behind the government. What was educative was the fact that despite massive protests the government pursued a strategy of implementation. And it has not mattered how heated, how energetic (and in some instances violent) the protests have become on the streets of Athens and elsewhere because ultimately representative democracy trumps those protests. This provides some object lessons on the limits of protest in liberal democracies – it also provides a very useful insight into how the effective co-option of social democracy by orthodoxy has led to cosmetically perverse, but functionally orthodox, outcomes when social democratic parties attempting to impose austerity are faced with large conservative oppositions. That the opposition, or at least the NDP component was rhetorically opposed while functionally in favor [if there had been a greater danger of the measures not passing more NDP members would have stepped up to the plate] was merely positioning. And this, of course, is the inverse of the situation we saw in this state in the aftermath of the Budget when all the opposition were against the measures being implemented on a rhetorical level but significant components [Fine Gael and Labour] did little to stymie their passing and we even heard from individual FG TDs musings about how they would ‘do the national interest’ thing and vote with the then Government. In a sense it is not that the larger and largest political formations agree and acquiesce on the orthodoxy which surprises (given the range of interests that are arrayed in favor of the orthodoxy it is the fact there are exceptions which is remarkable), it is that they attempt project an image of [limited] dissent when out of power. Fundamentally this is noxious from a democratic position. It strips away agency from citizens and gifts it to parties. It renders policy positions essentially meaningless. It is in many respects the approach we saw when Eamonn Gilmore went to the US embassy and privately agreed there would be a second Lisbon referendum while publicly arguing against the possibility of any such event. And it underlines the truth of what Juncker is saying. Greek sovereignty is hollow in the face of the dynamics in play around it. The protests on the streets, whether violent or pacific, are a sideshow with no actual import – unless the situation spiraled into civil war or revolution [and it is worth reflecting upon the reality as against the perception of the recent UK riots, which while not political in the sense of the Greek protests are indicative of how dissent of any form is dealt with by contemporary European societies. At no point did they constitute, whatever the very real violence and upset and danger, a genuine threat to the UK state – a state which suppressed them simply by pouring more police onto streets and waiting for them to burn out. It didn’t even have to bring in curfews or any significant measures, and strikingly it is only in their aftermath with – frankly – excessive sentencing of some that the state has bared its teeth] , both of which are unlikely outcomes. The course is predetermined and colluded upon by political formations who even as they collude put out an image of themselves as locked in combat with one another. None of which means that the protests are meaningless in themselves. It is because they exist that the contradiction, or is it hypocrisy, of the Greek polity is laid bare before its own citizens. And it is very probable that their severity and energy serve to blunt some of the worst impacts that the ECB/IMF might seek to impose. But what is most instructive in all this is the response of markets and their proxies. Because it would appear that despite everyone knowing that the Greek situation will end either in restructure or default, the former being the less catastrophic option by quite some distance, there is still lip service and more paid to the idea that Greece can be squeezed in a fashion almost unthought of in contemporary Europe, outside the former Communist regimes. The following was written before the most recent measures, but it still has significance. Two rollover proposals being touted for Greek debt would amount to a selective default, ratings agency Standard & Poor’s warned today, tempering hopes for a resolution to the long-running saga. The euro slipped on the dollar in Asian trading after S&P said that two recent plans for debt relief floated by Federation Bancaire Francaise (FBF) would count as “distressed” and involve losses to the debt holders. ”If either option were implemented in its current form, absent other mitigating information, we would likely view it as constituting a default under our criteria,” S&P said. And in this perhaps is revealed the contradictions intrinsic to the orthodoxy. The markets know/knew that Greek restructuring and the austerity measures are/were well nigh-impossible to fulfill. And yet simultaneously any effort to ameliorate them is regarded as anathema. This contradiction is intrinsic to the ‘markets’ which will – entirely naturally from their perspective – want to have their cake and eat it. That’s why the ‘markets’ – and I use the term advisedly because it encompasses a multitude, are ultimately so dangerous, not merely their societal aspect in the sense of their goals being other than social ones, but their functional nihilism and distorting effect upon our societies and our polities, and this is why they and their proxies must be constrained by states and citizens. And consider this. Juncker’s thoughts on sovereignty are merely further underlined by the fact that a non-state agency S&P can with a simple statement further diminish Greek agency in this. That his interpretation was based around the intervention of the ECB/IMF in regard to sovereignty serves to demonstrate where the real power lies – or is allowed to lie – in this current context. Posted by WorldbyStorm in Irish Politics, Sinn Féin, The Left. Such an attack seems to me to have been entirely justified at that point in time and most, I suspect, would find it difficult to find fault with the IRA for assisting in it. And following on from that there are a number of aspects of this anecdote that bear further consideration. Firstly that MK thought the IRA was a good fit for assistance, rather than any other non South African organization [given the anti-ANC rhetoric of it as hardly better than a Soviet front from right wing circles perhaps it is indicative that Irish people were called upon]. Secondly that – if Asmal’s account is correct – there was such a significant degree of trust between those named in it that such contacts were feasible. Again, considering the utter hostility towards communists, at least on a rhetorical level, within certain sections of the Republican Movement pre and post split that hardly a decade later a communist could purportedly go to the IRA for assistance is hugely revealing. Thirdly that the IRA itself would permit members to operate in such a fashion on behalf of another movement in another state. And of course those are only the most obvious ones that spring to mind. Of course one doesn’t want to make too much of this in those respects. This may be incorrect in whole or part. Moreover ideologically given the direction adopted under the more Northern based leadership of the Republican Movement in the late 1970s such actions would have seemed vastly more legitimate and appropriate than in the previous decade – although the suggestion of contacts between a CP member and the IRA still seems quite remarkable given the previous history. But it’s an area that is often underexplored, the influence of communists [and clearly there must have been some influence on a personal level at least to be able to persuade the IRA to carry out acts on behalf of a non-Irish political formation of the left] of various stripes on Sinn Féin and more broadly in the 1970s and 1980s, most obviously in the influx of former Peoples’ Democracy members in the latter decade whose political outlook was one that was increasingly dubious about militarism as an approach – with all the implications that their arrival with that mindset had for the subsequent course of the conflict. This isn’t in any sense to criticize any of those players mentioned above. Quite the opposite, if one can think of a clearly legitimate contemporary struggle it was that against apartheid and it is to the credit of all involved in this latest revelation that Irish people and the IRA played a small part in its overthrow. Furthermore I tend to believe that it was precisely by the establishment of and through such links that the conflict came to a conclusion to be replaced by exclusively political means. Nor by pointing to these linkages and interfaces is the intention to throw out the ‘red scare’ stuff which unfortunately characterizes so much of these discussions. One can rightly have criticisms of communism as historically as applied in various examples across the globe while recognizing the sincerity and courage of communists [as indeed one can do with Republicans of all stripes] and communist formations in this state and other states – who worked long and hard on behalf of their class – all the while simultaneously noting that the working class in this society as others has always had the capacity to recognize the oppressions under which it labours. Indeed as was put to me the other day by a good friend, there’s a danger of slipping into a patronizing discourse that centers on the idea that only the influence of a small number of individuals from outside Republicanism on Republican formations could shift Republicans leftward when in generation after generation the evidence is that once the limits and constraints of militarism are demonstrated then the class nature of the society comes sharply into focus and Republicans seeing this seek themselves to expand the range of their contacts and bring others into the struggle. But given the coincidence of interests across many metrics, with reference to antagonism to partition, or a shared sense of the failure of capitalism and the manifestations of the state on this island as well as a natural identification with the men and women of no property, small wonder that Republicans and communists and others on the left would find a fair bit of common ground, even while admitting differences. And small wonder too that in terms of the dynamic aspect of Republicanism in the latter quarter of the last century across a range of formations that elements on the left would be attracted to it either in alliance or by joining. It will also be fascinating to see if more anecdotes like this emerge of a pattern of previously unheard of but actual IRA involvement in various liberation struggles around the world during that period. A BBC Radio Four “Archive on 4” programme might interest CLRers. Forty years ago, shipyard workers in Glasgow embarked on a paradigm-shifting piece of industrial action. The general public of the 1970s were used to strikes. But a mass work-in in the Clyde ship yards drew support from across the political spectrum, and delivered a humiliating blow to the Heath Government. The eyes of the world’s media fell on Clydeside for the fourteen month work-in. Radio Four revisits the dramatic confrontations at Westminster between John Davies and Tony Benn, the Shadow Secretary of State for Trade and Industry, and reveals a private meeting between union leaders and Ted Heath at No 10, where they were reputedly offered whisky, but refused. Journalist John Lloyd looks back at the extraordinary story of how Clydesiders took their future into their own hands, and looks at its relevance to current day events. 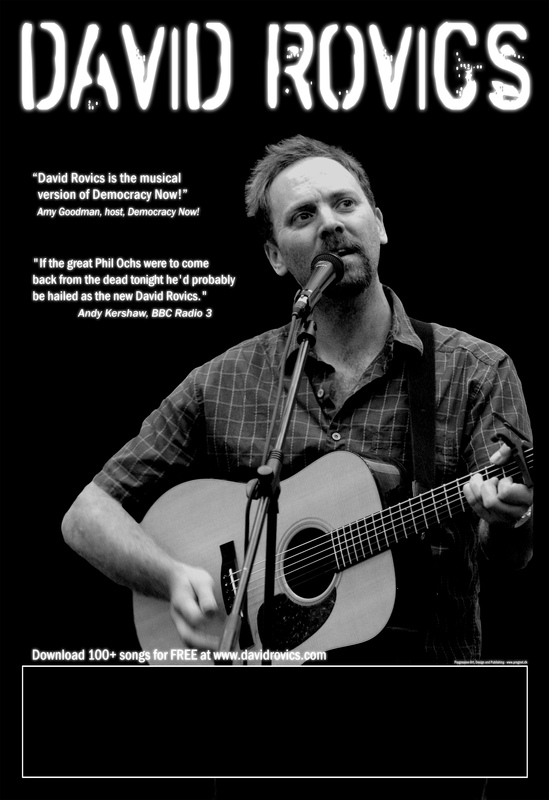 It is available to listen until Friday here. Bertie gave an interview to Dublin City University’s student radio station DCUfm last July. Mr Ahern confirmed he considered running in the election. claimed €265,000 for secretarial assistance. By comparison, other retired Taoisigh claim relatively tiny amounts in expenses. It has also emerged that Bertie has endorsed Gay Mitchell! With friends like that who needs enemies. Posted by WorldbyStorm in Irish Left Online Document Archive, Sinn Féin. 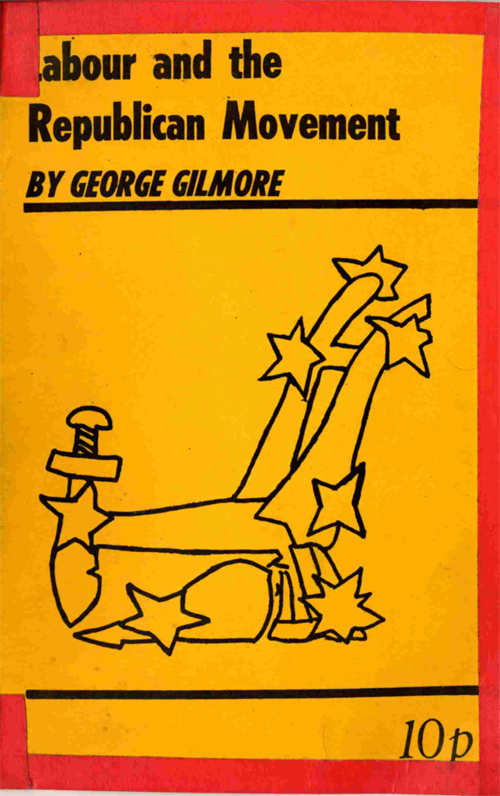 In this pamphlet George Gilmore writes on the place of Labour in the Republican Movement in the years preceding the Rising and in the post-Rising Years. He writes that “as the squeezing out of the Labour leadership from the vanguard of the Independence movement was of such importance in ensuring its defeat, so it would appear that, if there is to be any future for the Irish people as a free people, it must depend upon a return by organized Labour to the politics of Connolly”. This is an interesting publication for Sinn Féin to publish at that point in time given the history of Gilmore. The matter contained in the pamphlet first appeared as a series of articles in “The United Irishman” and later was presented as a lecture under the auspices of the Dublin branch of Muintir Wolfe Tone. It was also presented as a lecture under the auspices of the Republican Society of Trinity College Dublin. That Peadar O’Donnell was invited to write a brief introduction is perhaps also indicative of a shift in the approach of Sinn Féin during this period towards a more explicitly Left Republican stance. His contribution is short and almost humorous while also being profoundly critical of the Republican Movement ‘within which the I.R.A. lives and moves’. The essay itself is very readable and makes the point that ‘So we are back pretty much where we began. O’Neill is at last on talking terms with Lemass’. George Gilmore’s “The Irish Republican Congress”, with its foreword, in quotable text on Politicalworld.org, for discussion purposes. CWC Publications, c/o 79, Earlwood Estate, Togher Road, Cork City for the sum of € 6.00 . Only a limited amount of copies are available.